Hi this is Jessica Zannini from Notes from the Portable and today I want to tell you about how I was able to increase my classroom community through Student-Led Conferences. Do the thoughts of upcoming parent conferences fill you with anxiety? 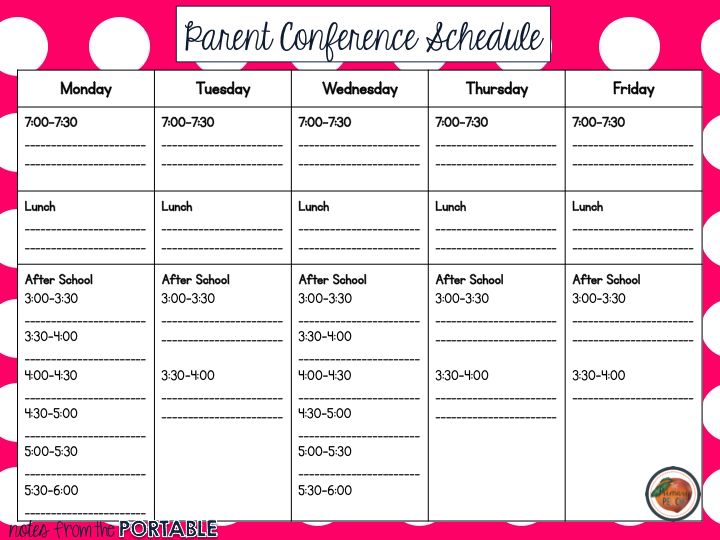 Parent conferences don't have to overwhelm your October schedule! I am going to let you in on a little secret....have student-led conferences. I am sure that most of you have had kids waiting in the hallway while you have a parent conference (there are times for those, but not often). The parent is not really listening to you, because they are worried about what is happening in the hallway, or watching a younger sibling toddle around your classroom. The kid is panicking thinking of all of the possible things you could be telling their parent(s). By letting the student lead the conference, the conference becomes more meaningful to all of you! Collect work samples. 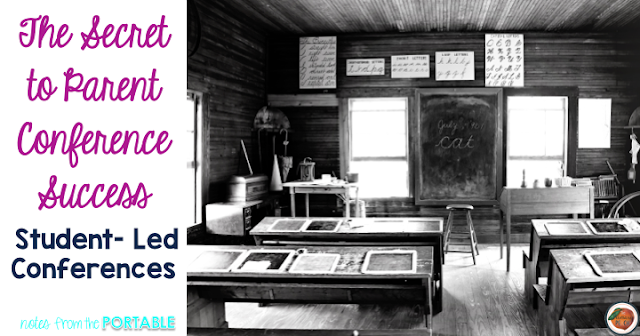 Make it a point to keep examples of student work in a folder. Keep the good and bad samples. Let the students pick most of the items to put in the folder. If you start at the beginning of the year, take 1-2 items a week. If you are starting this the week before conferences, don't fret, just collect what you can. Schedule the conferences well in advance. Use email, the remind app, or even a good old fashion phone call to remind parents of the upcoming conferences. Be sure to tell them that the student is leading the conference and should be with them. In the form you use for sign up, let them know how you will run these student-led conferences and give them an option to set an additional conference or extend the time if they would like to speak with you alone. Practice during class. Speaking standards are an important part of education. 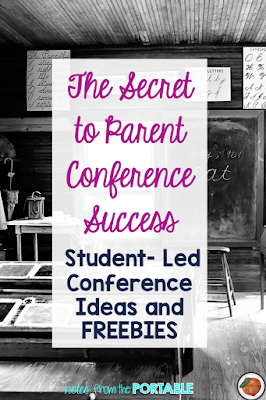 Teach your students how to lead these conferences. 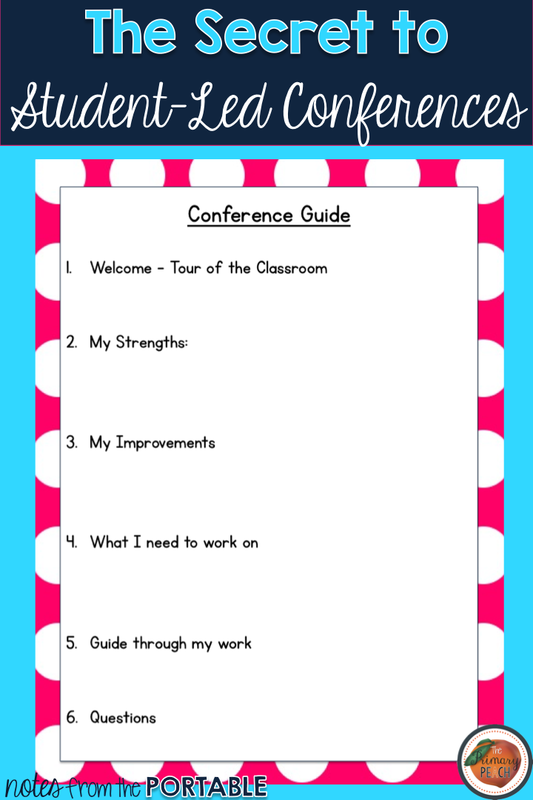 Model a student-led conference where you are the student and one of your students is the parent. Let the students go through their work samples and think about what they want to discuss. Let the students practice with a partner. 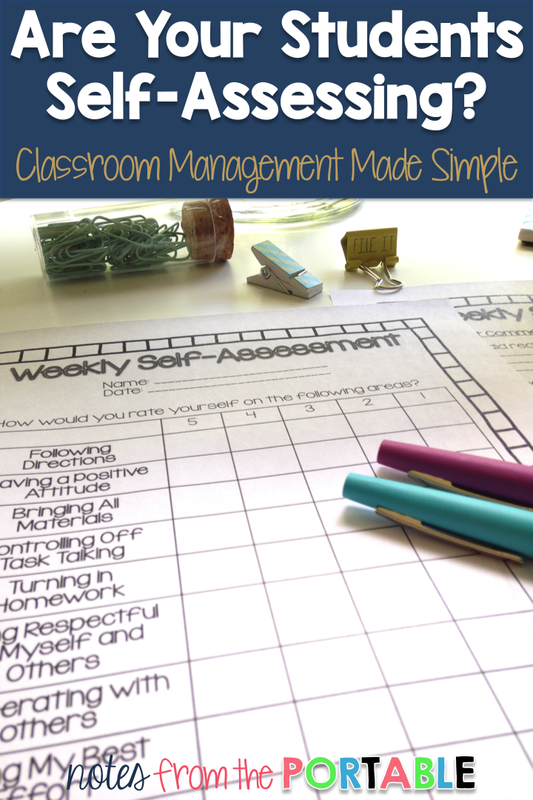 Use the weekly assessment or your own weekly documentation system to show growth throughout the first quarter. 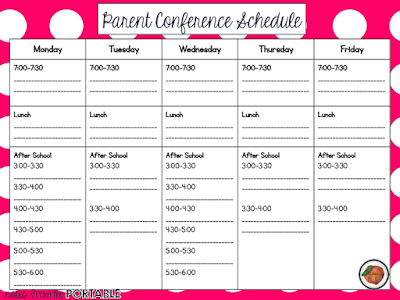 The great thing about student-led conferences is that you can schedule more than one at a time. No longer do you have to worry about the times being doubled up and you can easily reschedule missed conferences during the times you have blocked off already. You can rotate in and out of conferences as needed. Parents who are early or late can hop right in and not have to stand in the hallway worrying about where and what they must do next. * This schedule was based on a wonderful school where I had lunches free. I also tried to schedule around my family needs too. You know the students who will really need more guidance. Plan to meet with those students and practice prior to the conference. Schedule those conferences individually. Having the students lead the conferences makes them more authentic. Parents are interested and engaged. AND if you have a behavior issue and the discussion is led by the student being honest about what is happening, the issue is typically resolved much quicker (if not immediately). No longer are you making accusations, the kids are telling what happens. You ARE part of the conference. The difference is that it is no longer your show. You are a part of the talk, not the only one talking. If you have more than one conference occurring at one time, treat it as if you are the hostess at a party. Give everyone the greeting and attention they need and move to the next, then circle back around. Click HERE to get your Student-Led Conference FREEBIES. And if you know others who could use this information, please share it or pass it on!